Our mission is to encourage regional cooperation and advancement of Brigade for the transformation of the lives of Girls and enrichment of the world around us by being deliberate BEES for Christ in Building, Equipping, Extending and Serving in Christ’s kingdom. Two plates of food: 1st plate of a well garnished succulent barbeque ribs and baked potato and a 2nd plate with an exploded potato and poorly coloured/burnt ribs. Show your two dishes then say: “Decisions, decisions I wonder wish dish you would prefer? 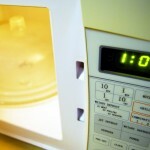 Comment on how the dish can be cooked quickly in a microwave or more slowly in a crockpot or slow cooker. If time and energy consumption are key for you the microwave is the obvious choice, but the crockpot has by far the superior flavor. There is also the danger that if you don’t prick the potatoes repeatedly or insulate the ribs in a heatproof plastic bag from the microwave’s lightening-like energy your microwave meals could either explode or turn into something uneatable! Hebrews 12:1-2 reminds us that as we wait for Christ’s return we need to persevere and keep on keeping on. Run the race with patience it says. Jesus warned against our desire for immediacy, with bursts of fervor when we encounter God followed by regression to sin when results are delayed. What does God EXPECT of us while awaiting His second coming? Stay the course. The gospel account of EXPECTANCY is not microwave fervor, but it is zealous commitment despite the circumstance.